"My feline friend, Arturo, means the world to me. He adopted me when he was a tiny, feral kitten who slept in a gallon planting container in my gardening shed. As soon as I was able to catch him, I brought him to the Ocean Animal Clinic where several friends had referred me. That was the beginning of a very special relationship. Arturo is now 17. Over the years,the staff have been our lifesavers, literally. Due to their knowledge, patience, kindness, and diagnostic skills, he has seen Arturo through at least nine lives and addressed broken hips, eating issues, thyroid problems, diabetes and recently a diabetes miracle recovery, just to name a few. The staff at Ocean Animal Clinic is exceptional – friendly, knowledgeable and caring. They share my concerns regarding Arturo's health and quality of life. Because they've taken the time to know his idiosyncrasies, I have no doubt that when I bring Arturo for appointments or boarding, he's in the best of hands. 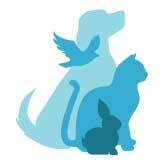 I feel that the staff at the Ocean Animal Clinic are and extended part of our family."